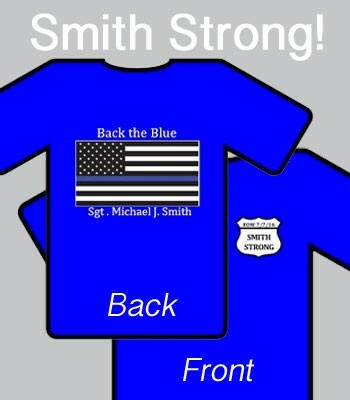 Help show your support for Dallas Police Sergeant Smith by placing an order for a "Smith Strong" T-shirt! *At this time, we are only accepting cash. Pick up/drop off of t-shirt(s) can be arranged. If you have any questions, you can email smithstrong16@gmail.com or call Kim Jolly Chapman @ 972-351-3045.